Hi and welcome to another post. This will be short as I would like to share with you an image that’s about snooker tables. 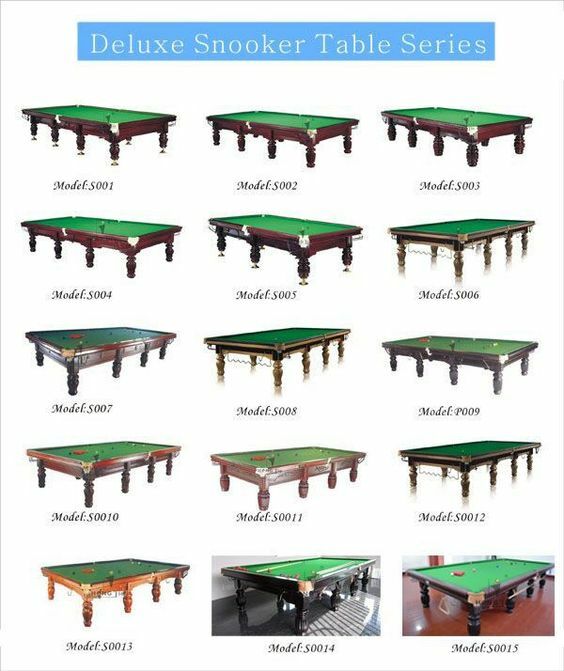 In particular, this shows the many different types of snooker model tables that are out there. Before I go on, I would like to mention that there can be more tables out there. But, for now, this is what I have found.